Under the Pan-Canadian Framework on Clean Growth and Climate Change, federal, provincial and territorial governments are committed to work with industry and stakeholders to develop a Canada-wide ZEV strategy by 2018. 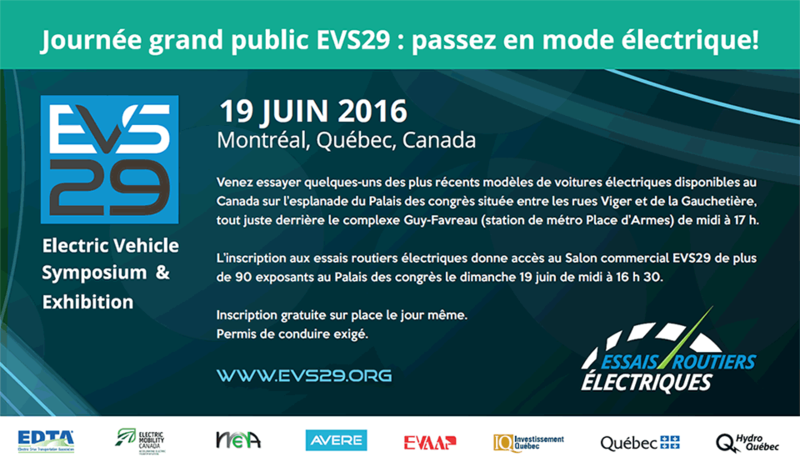 Electric Mobility Canada welcomes this initiative and collaborates in the design of recommendations for the upcoming Canadian ZEV strategy. A final version of this national strategy is expected for the fall of 2017. The president and CEO of EMC participates in this exercise as an active member of the national advisory committee and a Co-Chair of the Public Awareness and Education Expert Group. EMC also was represented on the Supply Expert Group, the Infrastructure Readiness Group and the Cost & Benefits Expert Group. Although the expert groups have done much of the ground work to share their knowledge, and present their key recommendations, EMC continues to be involved in the final touch to present to the federal-provincial and territorial committee an integrated approach for decisions makers. At EMC, we have established clear recommendations to be brought at these expert groups. These recommendations are mainly based on our national roadmap and previous reports and submissions to governments. Thank you to all of our active members on this important task force. Electric Mobility Canada look forward to working with all its members and other stakeholders taking part in the crafting of this strategy. Visit our website regularly to learn more about our work in this important national step.